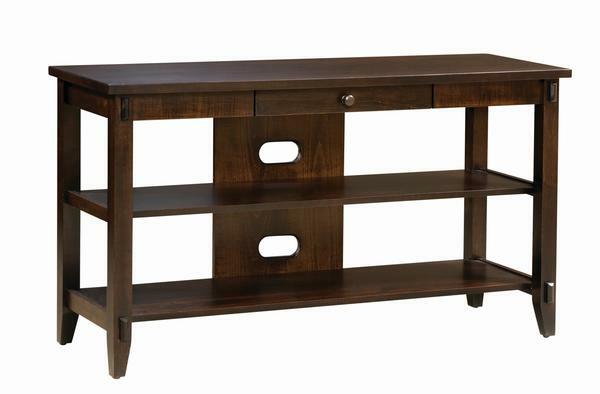 Our Amish Bungalow Open TV Stand is hip! The clean, open design with exposed tenons combines modern design with mission details. A solid top provides a place to rest your television and two open shelves provide media storage. A full extending drawer will keep remotes tucked away and out of view.